Taking the Complexity out of Affordable Housing. 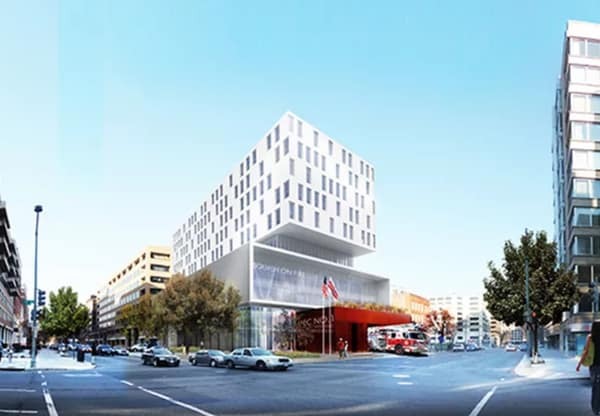 Dantes Partners in partnership with Eastbanc, Inc. were selected by the District of Columbia’s Office of the Deputy Mayor for Planning and Economic Development to redevelop the West End Library and West End Fire Station sites. The project, as contemplated and agreed upon by both the Developers and the District, is such that a portion of the city’s land value will be used to subsidize the development of a new neighborhood Library and new Fire Station. The West End is one of the District’s most desirable residential areas being within walking distance to both Georgetown and the CBD, situated between the two primary metro stops (Foggy Bottom and DuPont Circle), and the home of George Washington University and Hospital. The mixed-income development on the Square 50 site will provide 55 units much needed low-income and workforce housing that will be uniquely situated atop a squash facility and a brand-new fire station. Dantes Partners structured, identified and secured the financing for the residential component of this innovative development which includes equity from the sale of 4% LIHTC, gap financing, tax-exempt bonds and deferred developer fee. Copyright © 2019 Dantes Partners, LLC. All rights reserved.